After Pinatubo and the brief stopover at Capas National Shrine, the group headed to San Antonio town in Zambales and checked in at Megan's resort (it's low budget resort with good enough facilities for backpackers like us) in barangay Pundaquit. 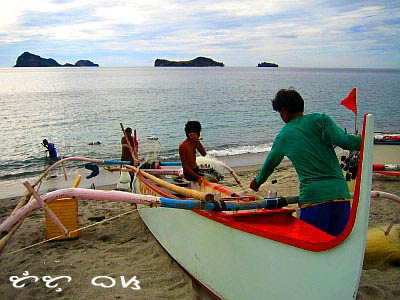 We hired outrigger boats (banca), for a few hundred pesos, to take us to Capones Island for us to satiate the beachbums in all of us. Stretches of white sand beaches can be found on Capones and the larger Camara island. A short boatride took us to the island of Capones where beaches, fascinating rock formations inviting for rockclimbers, corals and turquoise water beckons. 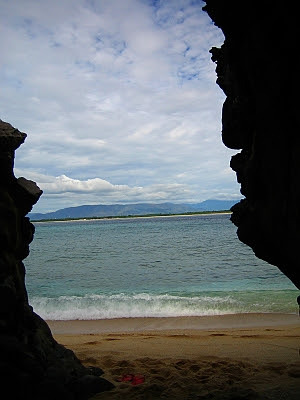 On the island beach, we found a nice, cozy cave where the Tutubi hibernated and dozed off for a few minutes. 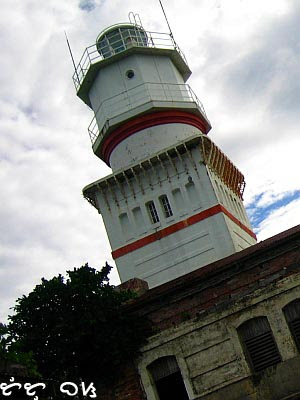 What we're really after, as you already know, is the old lighthouse (Faro de Punta Capones on the Isla de Gran Capon) finished in 1890 and built purposely to guide ships entering and leaving Manila Bay and Subic and warns passing ship of the dangers of rocky shores surrounding the island. In search of the lighthouse on the island, I hacked my way out of tall grass, rocky shores and unmarked trail before finding the right path to take to the top of the rocky hill where the "romantic" lighthouse proudly stands. The old structure still stands, made of red bricks, but the facility inside already has a creepy feel to it with broken windows and rubbish littered on the floors. 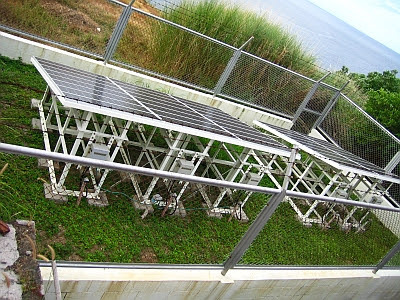 The stairs leading to the top of the tower is closed and we're not pasaway enough to enter the restricted area. After exploring the surrounding beaches, rocks and interesting coral formations, without actually swimming, we boarded the boat for the return trip to the beach resort. Another romantic lighthouse "conquered" by the Tutubi! On our way back to Manila, we stopped by for a hearty dinner in Subic bay; tired and sunburnt, most of os slept thoughout the return trip to reality we call Manila. From Manila, take a the NLEX exit at San Fernando Pampanga, from San Fernando, head southwestward to Olongapo city. In Olongapo city, at the the head boundary of Olongapo, make a right turn going to Subic Castillejos then San Marcelino, at San Marcelino, take westward to San Antonio. In San Antonio, head southwestward to Pundaquit. The road to Pundaquit is circuitous so better ask around when you're there. great pictures. that crab looks kinda scary. I love the photos; really nice and it shows how beautiful the beach is. I pity the limbless crab though, I wonder how does it survive. I pity the crab there. Yung unang punta namin dyan, nahirapan din kami hanapin yung lighthouse. It was only the second time na nalaman namin na pwede naman pala pumunta yung boat sa likod ng island para mabisita yung lighthouse directly. I like the color that came out of the crab. What camera did you use? gala ka tutubi patrol ha. i like the blue, red and green color of one of the pictures. I like looking at old houses, you know, you imagine what people did there in the past, that sort of thing. surely, i'll link you up! i'm speechless on the pics. they're really great. very much alive... (applause). Waaah ang ganda nung photos. Kahit yung crab, ang ganda. Paano kaya naging limbless yun? 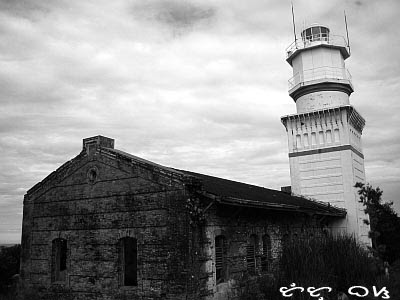 Ilang lighthouse na na-conquer mo? Ang ganda ganda, lalo na ang mga seashore scenery! 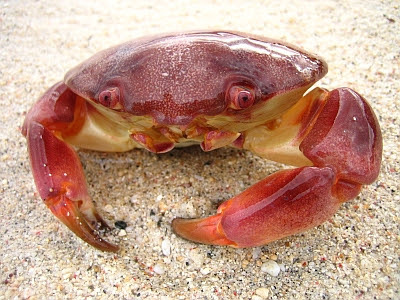 i particularly like the crab shot, what a strong little fella...limbless yet he looks healthy to me. ang ganda ganda ganda ganda mong kumuha ng picture! gustong gusto ko yung 2nd to the last picture. Fantastic! Wish I could come here too! wow! tutubi may surf ba? or just baby surf? we go there everytime may north swell eh. pro now habagat season na relatively flat na ang waves. Those beaches are lovely, so pristine. I've read some of your past posts and I find your blog very interesting...makes me long to be back home and see it once more. 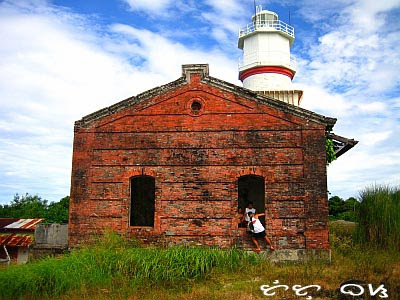 hi...just visited your blogs....loved the pics and trekked only once in Subic,would like to make it a hobby.Just wondered, Why do you like lighthouses so much? mye, I love lighthouses for they evoke a certain romaticism in them. astig ang kuha! panalo sa cam at swerte sa panahon! From Mt. Pinatubo, how do you get to Pandaquit? How long did it take? Thanks! I know the the islands but didn' t know about a lighthouse there ...interesting ! 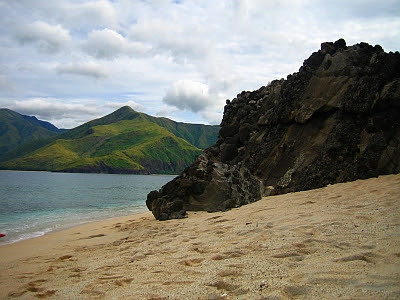 Wow, I'm planning a Subic trip with my family, and Capones island is part of the plan. Great photos! 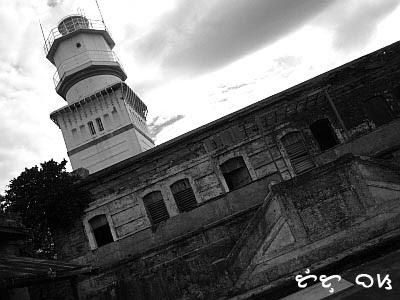 nanggaling kmi d2 ..grabe sobrangg ganda.. sa bandang paakyat ng lighthouse may stairway..tapos ang dudulas ng mga bato sa dagat.hehehe tas pinunta kami sa kabilang island..doon naman daw shi-noot ung marimar ^^ aw yeah! ..tas sa anauagin cove kami nagpalipas ng gabi..sobrang tahimik !! ganda!sarap balikan! 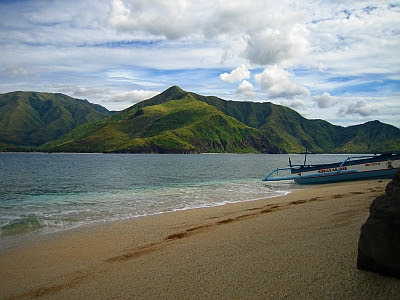 sarap mag bonfire tas walang signal ang phone!haha..
is it ok to stay overnight in one of those islands in a tent? is the car safe at megan's resort overnight? can i ask the boatman to come back for us the following day on a specific time? San Antonio i really very nice place. good photo shoot. i like all photos. hi po mam/sir im reynald "kulot "lokal surfer dito sa pundakit which is the only acess way to any island and coves (anawangin,capones,camara,talisayen,nagsasa,silanguen)at the same time boatman,tour guide,trek guide, surf instructor din po ako.i have a big boat can load 15-30pax,and surf boards for rent,tents,and cottges,rooms,.if youre interested to visit hre just call me anytime 09108162974..salamat have a safe trip to all...spcial rate would apply at negotiable price..
How did you go from Pinatubo to San Antonio in Zambales? My group is also planning to go to Capones-Anawangin after our day trekking in Mt. Pinatubo. It will be greatly appreciated if you will share how to commute from Capas to San Antonio. Thank you very much!